As far as campy, mocking sci-fi movies go, Spaceballs is probably the best one ever. 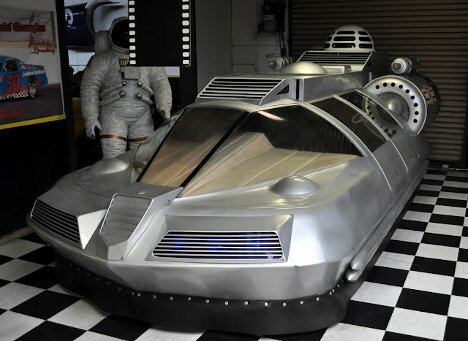 The 1987 Mel Brooks film was made as a send-up of Star Wars and similar movies and gave us classic lines like “may the schwartz be with you.” The hovercraft driven by Dark Helmet was made to “fly” in the movie with a series of wires and a blue screen, but after the movie finished shooting its creator, Dean Jeffries, installed a motor in the vehicle to let it be driven under its own power. Today, the little piece of sci-fi history sits in the Justice Brothers Museum. Jeffries is asked often to drive it in parades, which isn’t surprising. 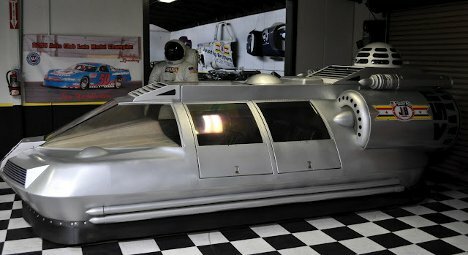 What is a bit surprising is the fact that the car has appeared in about 20 other movies, TV shows and music videos, according to the museum’s information. That knowledge kind of feels like a challenge to find and spot every single appearance of Dark Helmet’s hovercar ever caught on film. See more in Concept Vehicles or under Transportation. April, 2012.